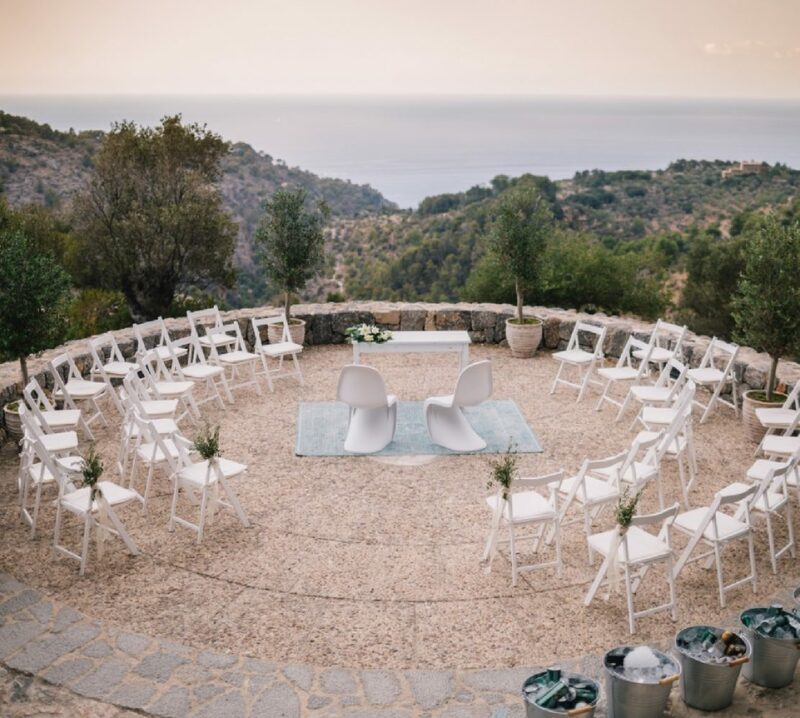 L married A at Sóller church, followed by a reception at a beautiful finca in Port de Sóller. 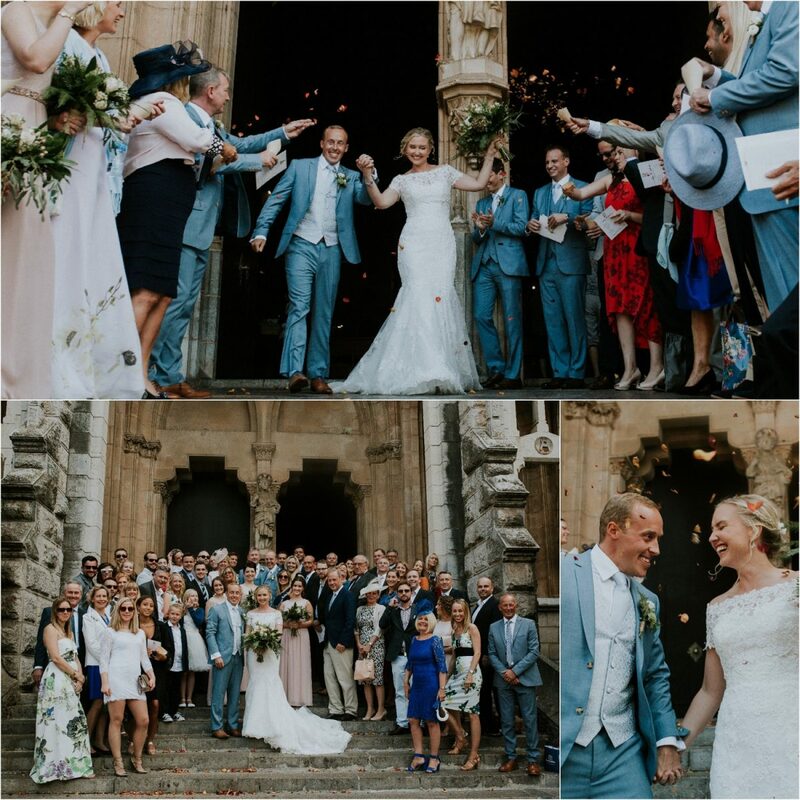 They chose the villa because their wedding was quite small – they had only invited 60 guests and wanted it to feel as private as possible. A and L picked food that was traditionally Spanish but with a twist. They opted for a two-hour canape reception, and for the main meal they chose a delicious buffet. For a midnight treat they surprised their guests with a paella cooking show. 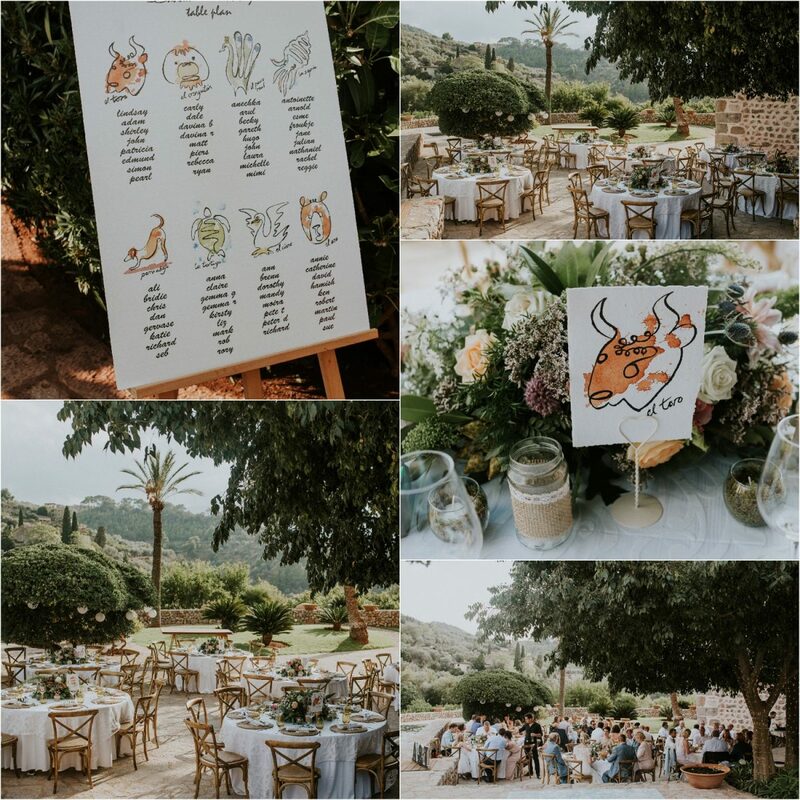 They didn’t want anything too bold, so for their colour scheme, they chose lots of soft, natural colours to reflect the picturesque surrounding countryside. Our top tip: Wear comfy shoes. The couple offered their guests flip flops to use and they were so grateful. Touches like these don’t have to be pricey. Also, don’t overcomplicate things. Remember you’re the only person who will recognise if something goes wrong, your guests won’t know what it was meant to be like, and, honestly, won’t mind. 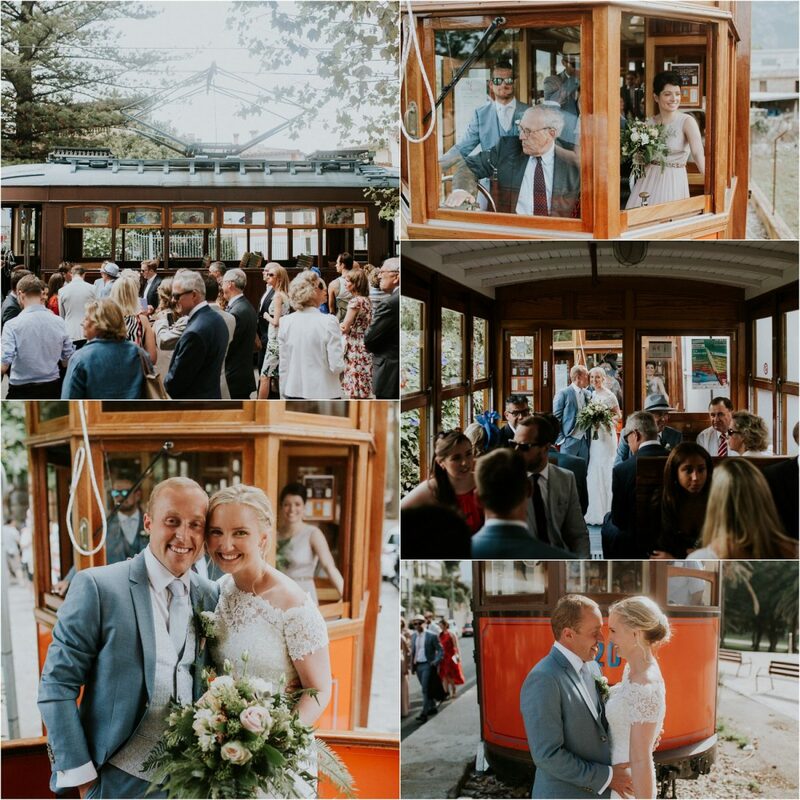 Thank you L and A for sharing your beautiful day with us, and congratulations! Create a unique moment for your big day, and make sure that it is long remembered! Please contact us to discuss your needs. Our wedding planners will help you every step of the way to create the wedding of your dreams.